In a key reinstallation attack, the adversary tricks a victim into reinstalling an already-in-use key. This is achieved by manipulating and replaying cryptographic handshake messages. When the victim reinstalls the key, associated parameters such as the incremental transmit packet number (i.e. nonce) and receive packet number (i.e. replay counter) are reset to their initial value. Essentially, to guarantee security, a key should only be installed and used once. Unfortunately, we found this is not guaranteed by the WPA2 protocol. By manipulating cryptographic handshakes, we can abuse this weakness in practice. As described in the introduction of the research paper, the idea behind a key reinstallation attack can be summarized as follows. When a client joins a network, it executes the 4-way handshake to negotiate a fresh encryption key. It will install this key after receiving message 3 of the 4-way handshake. Once the key is installed, it will be used to encrypt normal data frames using an encryption protocol. However, because messages may be lost or dropped, the Access Point (AP) will retransmit message 3 if it did not receive an appropriate response as acknowledgment. As a result, the client may receive message 3 multiple times. Each time it receives this message, it will reinstall the same encryption key, and thereby reset the incremental transmit packet number (nonce) and receive replay counter used by the encryption protocol. We show that an attacker can force these nonce resets by collecting and replaying retransmissions of message 3 of the 4-way handshake. By forcing nonce reuse in this manner, the encryption protocol can be attacked, e.g., packets can be replayed, decrypted, and/or forged. The same technique can also be used to attack the group key, PeerKey, TDLS, and fast BSS transition handshake. In our opinion, the most widespread and practically impactful attack is the key reinstallation attack against the 4-way handshake. We base this judgement on two observations. First, during our own research we found that most clients were affected by it. Second, adversaries can use this attack to decrypt packets sent by clients, allowing them to intercept sensitive information such as passwords or cookies. Decryption of packets is possible because a key reinstallation attack causes the transmit nonces (sometimes also called packet numbers or initialization vectors) to be reset to zero. As a result, the same encryption key is used with nonce values that have already been used in the past. In turn, this causes all encryption protocols of WPA2 to reuse keystream when encrypting packets. In case a message that reuses keystream has known content, it becomes trivial to derive the used keystream. This keystream can then be used to decrypt messages with the same nonce. When there is no known content, it is harder to decrypt packets, although still possible in several cases (e.g. English text can still be decrypted). In practice, finding packets with known content is not a problem, so it should be assumed that any packet can be decrypted. The ability to decrypt packets can be used to decrypt TCP SYN packets. This allows an adversary to obtain the TCP sequence numbers of a connection, and hijack TCP connections. 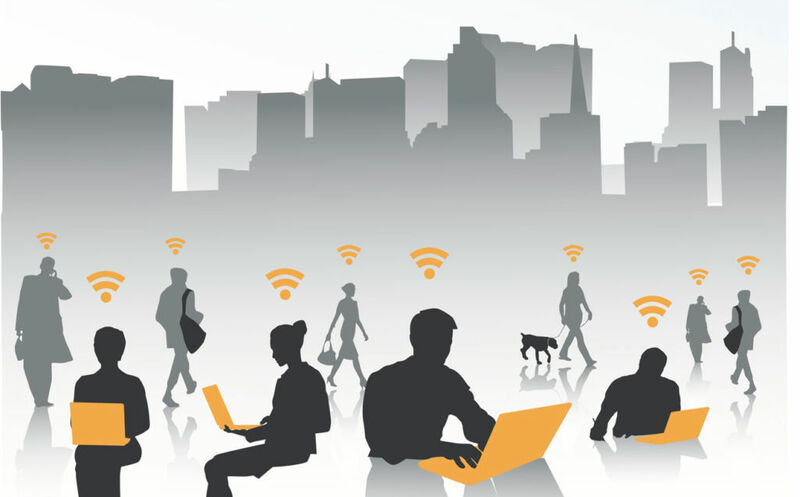 As a result, even though WPA2 is used, the adversary can now perform one of the most common attacks against open Wi-Fi networks: injecting malicious data into unencrypted HTTP connections. For example, an attacker can abuse this to inject ransomware or malware into websites that the victim is visiting. If the victim uses either the WPA-TKIP or GCMP encryption protocol, instead of AES-CCMP, the impact is especially catastrophic.Against these encryption protocols, nonce reuse enables an adversary to not only decrypt, but also to forge and inject packets. Moreover, because GCMP uses the same authentication key in both communication directions, and this key can be recovered if nonces are reused, it is especially affected. Note that support for GCMP is currently being rolled out under the name Wireless Gigabit (WiGig), and is expected to be adopted at a high rate over the next few years. The direction in which packets can be decrypted (and possibly forged) depends on the handshake being attacked. Simplified, when attacking the 4-way handshake, we can decrypt (and forge) packets sent by the client. When attacking the Fast BSS Transition (FT) handshake, we can decrypt (and forge) packets sent towards the client. Finally, most of our attacks also allow the replay of unicast, broadcast, and multicast frames. For further details, see Section 6 of our research paper.